Located within the innermost part of the Oslofjord, Norway’s capital is relaxed, friendly, and green. 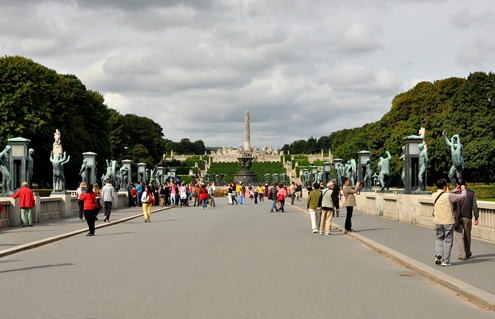 With plenty of sights, history, art, and Nordic culture to experience, it is a pleasant city to explore on foot. Our visit was a short one, but we managed to see as much as we could within the time we had. 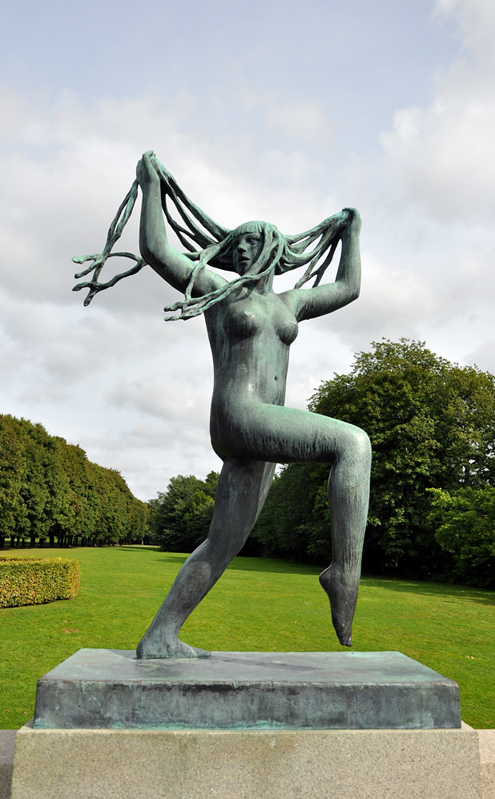 Inside the beautiful Frogner Park (Frognerparken) lies the extraordinary Vigeland Sculpture Park. 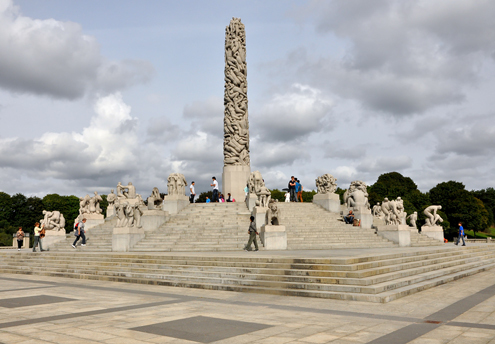 This popular tourist attraction features the work of Norway’s most-revered sculpture, Gustav Vigeland. More than 200 of his unique sculptures are on display. 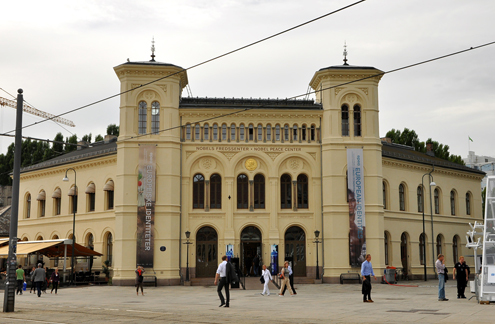 Opened in 2005, the Nobel Peace Center features the history of the Nobel Peace Prize and its laureates. The Peace Prize is awarded in Oslo each year while the prizes in Chemistry, Literature, Physics, Physiology or Medicine, and Economic Sciences are awarded annually in Stockholm, Sweden. Oslo’s National Gallery (Nasjonalmuseet) houses a vast collection of Norwegian art along with an impressive collection of European art. 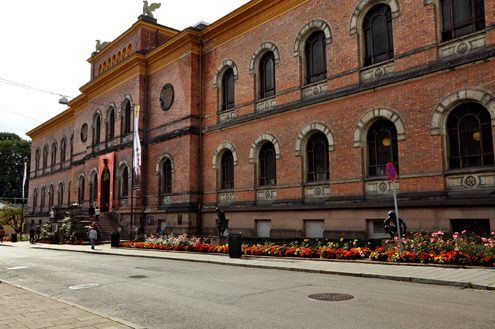 The museum is currently celebrating the 150th anniversary of the birth of Edvard Munch, together with the Munch Museum, until mid October 2013. 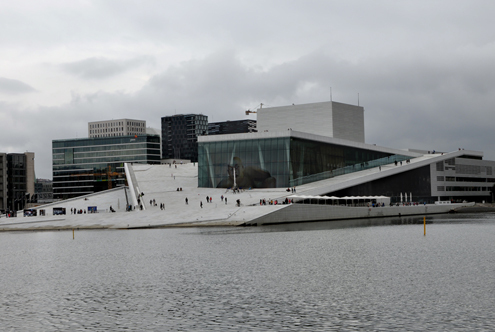 Home to The Norwegian National Opera and Ballet, the contemporary Oslo Opera House (Operahuset) opened its doors in 2008. The angled roof is pedestrian-friendly and provides some lovely views of the city. 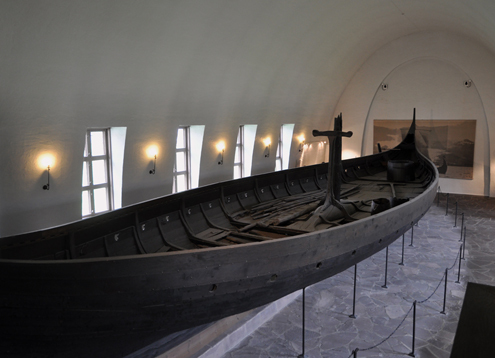 The Viking Ship Museum (Vikingskipshuset), located in Bygdøy, is a fascinating place to learn more about the seafaring masters and the ships they once sailed. The Oseberg ship, Gokstad ship, and the Tune ship are on display along with several other interesting archaeological finds. We had a lovely time exploring Norway’s capital city and its charming neighborhoods. Takk, Oslo!